Episode #125 – Focus Your Goal! Here’s the deal… focus your goal — don’t focus on the goal, but actually focus your goal. 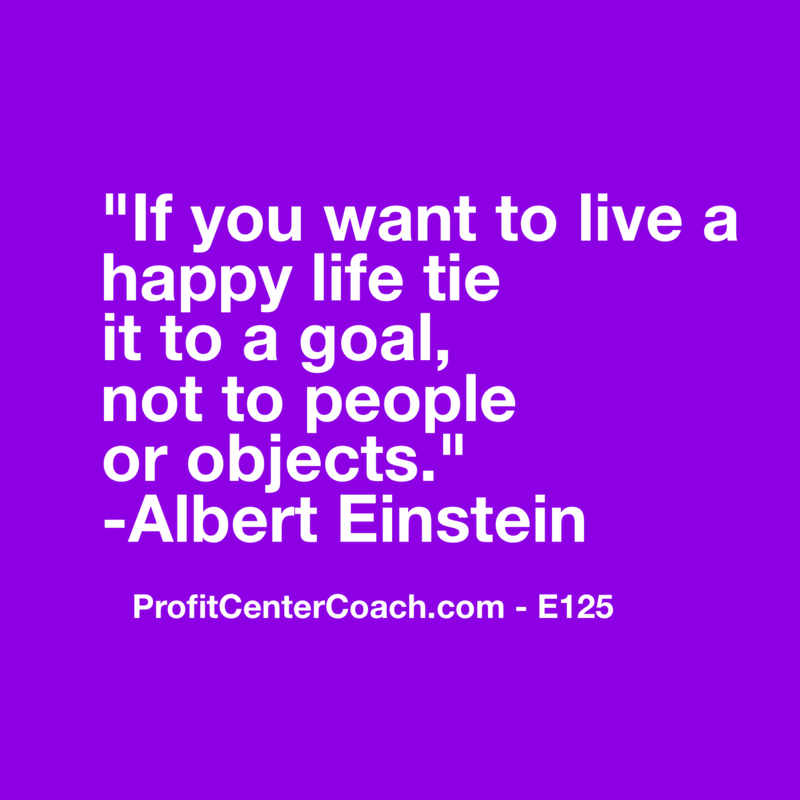 Goal setting is funny, because it ties itself to people and objects, yet if we follow Einstein’s inspiration we can only live a happy life when tied to a goal but not to people or objects. Sounds to me like there’s a little “chicken and the egg” going on. Well, that aside, let’s examine the goal one more time, but this time use the SWOT analysis. When you use SWOT (Strength, Weakness, Opportunity, and Threat) method for goal achievement you can find some cool advantages. Setting the goal is one thing, but attaining it will happen with greater odds if you evaluate where you’re at to find your focal points. We’ll use our original goal of “Increase sales 10% by July 31” – List the four categories of Strength, Weakness, Opportunities, Threats and under each category evaluate your top 3 to 5 “things”. For example, if you opened your Facebook and your competitor’s ad just popped up for the same product you sell… there’s a threat! However, if you bundle product Y for the same price there’s the Opportunity! This type of exercise will allow you to focus on the outcome! 2- Do your SWOT analysis for the goal and see if a new angle appears!